Don Brady writes "SPLASH was launched at Royal Victoria Yacht Club May 16, 2003 and commissioned as tender to my yacht THETIS. 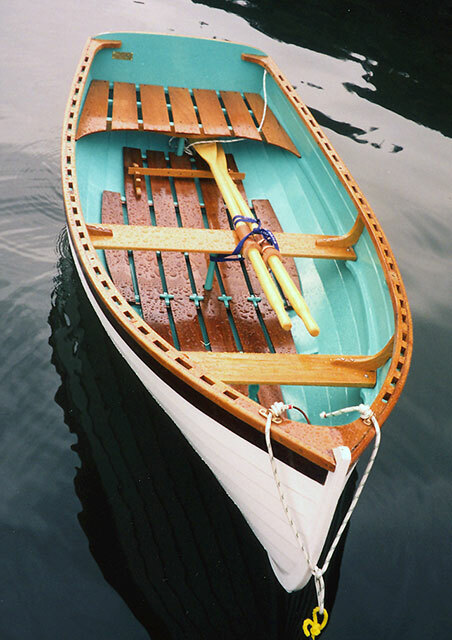 She is an Iain Oughtred designed Acorn 10'2" lapstrake dinghy with 4'2" beam, made of Honduran mahogany plywood, from plans obtained from WoodenBoat Store." Contact Don at Donbrady@shaw.ca.